A quick post to say that the winner of the Kindle competition is (drum roll)… Nicky Wright from Thornton-Cleveleys in Lancashire. 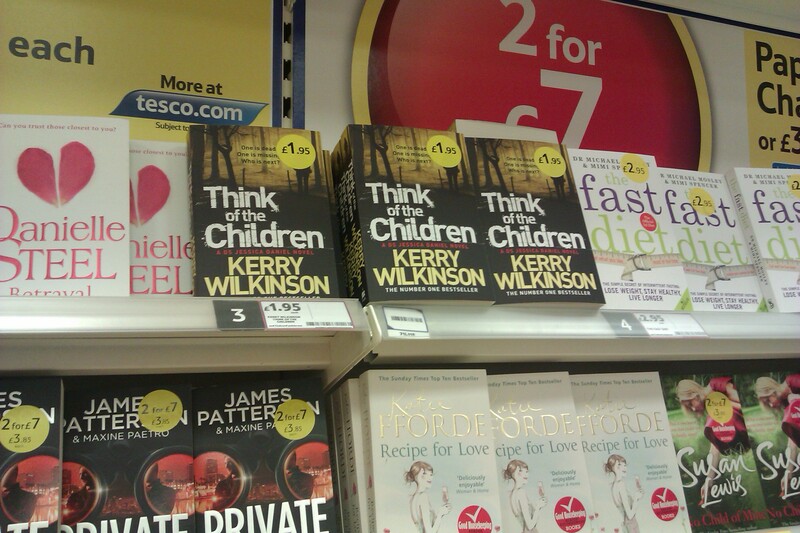 She took the picture below in Tesco, Blackpool, which shows Think of the Children at number three in their chart. Thanks to everyone who entered – I had loads, as ever. Jessica Daniel 5: Playing with Fire is out on July 18 and I’ll have some copies of that to give away in due course.